The summer season may still be several months away, but it’s definitely not too soon to enjoy the enchanting beauty that the municipality of Balilihan has to offer. 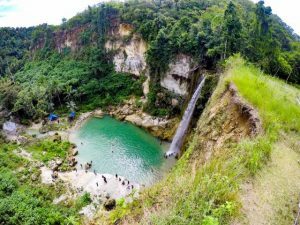 Located in the beautiful town are gems of Mother Nature one can truly enjoy—the Camugao Falls and the Kulang-Kulang Falls, both in Barangay San Isidro. Travelling from Balilihan town proper to Barangay San Isidro will only be a five-minute drive. Parking is not a problem as there are parking spaces available for free at the site. The Camugao Falls has a superb top view but it’s foot is more amazing. Fun starts in 10-minute walk through a rough trail that would take youy down to its base where you can appreciate the magnificent ambience of lush green plants that adorn the falls. 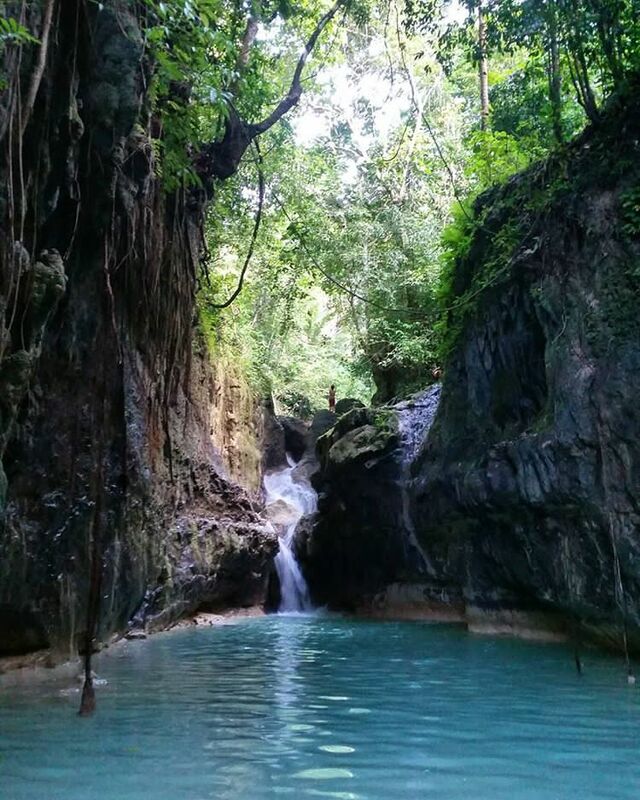 You can dive and swim in this natural-made pool with cold water cascading from the falls. Swimming with family and friends are made easy for there are tables and chairs available, all for free! It is advisable, however, for young children to be accompanied by an adult as the water is steep. For extreme adventure seekers, they may climb at the elevated part at the right side of the falls and jumped with extreme caution. And if you think Camugao Falls is not enough a blessing, Kulang-Kulang Falls awaits downstream, a relatively unknown falls but is definitely a must-try. As safety is always a priority, asking or hiring a local to guide you to the falls is highly recommended as you have to walk for approximately 30 to 35 minutes through the stream and you have to go through a very slippery and rocky trail.